We’ve said it once but we’ll say it again: Self-care can be pretty difficult to maintain if you’re trying to save the planet at the same time. Growing environmental awareness has prompted millennials to purchase environment-friendly products instead and all for good reason. A previous study revealed that we’re throwing out a million plastic bottles per minute; 91 percent of which isn’t recycled. This is perhaps one of the many reasons why international and homegrown brands alike are switching to more sustainable alternatives, down from its product content to its packaging. 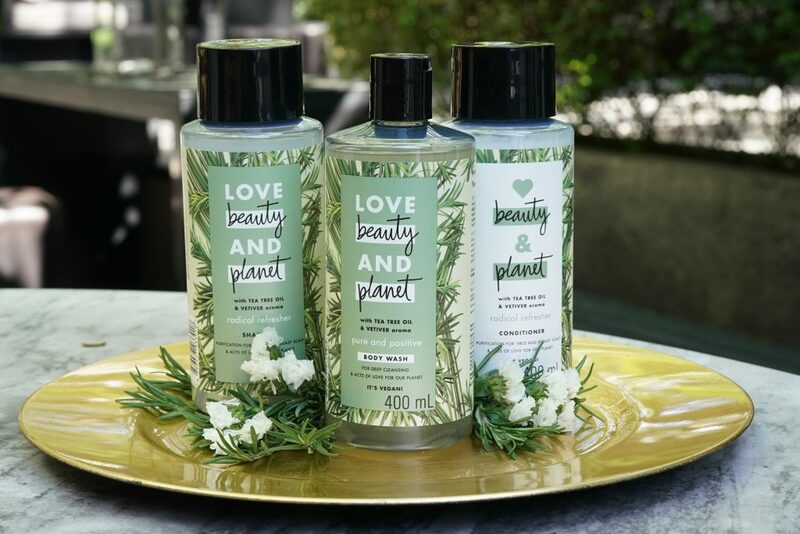 Launching in the Philippines is Love Beauty and Planet, an eco-beauty brand that promises less wasteful personal care products. It’s Unilever’s first foray into the sustainable beauty segment. It was first launched in the United States back in late 2017. So how exactly is it sustainable? For one, the product contents are vegan, ethically-sourced, and cruelty-free. The ingredients are natural and are free from harmful chemicals such as silicones, dyes, parabens, and colorants. Their hair products also contain fast-rinse technology, which means less water consumption while in the shower. 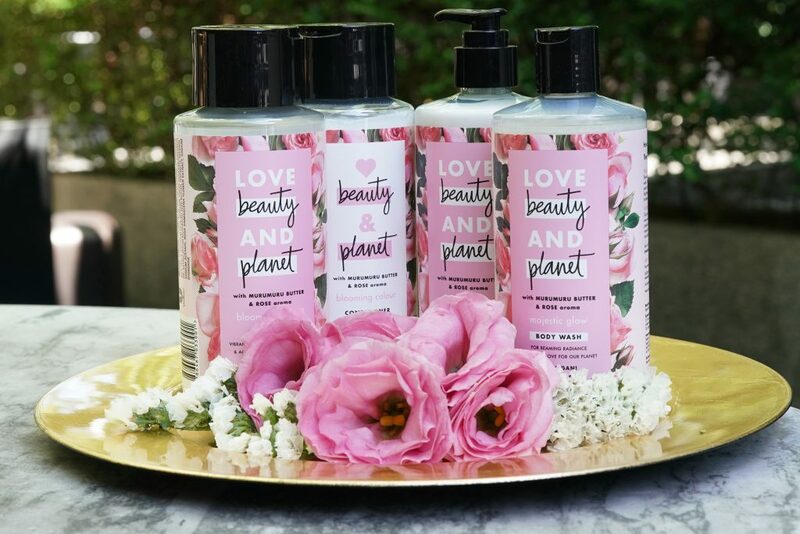 It’s safe to say that Love Beauty and Planet’s further cutting down on plastic usage, too. Each bottle is made with recycled bottles and is 100 percent recyclable. Less plastic will be used on packaging for items sold on e-platforms as well. On a related note, you can also return used up bottles to Linis Ganda, Unilever’s partner organization that recycles plastics and other waste. However, I personally feel that this option still has a long way to go. Unilever has yet to lay out a step by step process on how and where we can give the bottles back for recycling. This collection works best for keeping colored hair vibrant and moisturized. The products are infused with murumuru butter and floral roses. You have the swamps of the Amazon and the Rose Valley in Bulgaria to thank for its sweet fragrance, respectively. Infused with lavenders from France’s Provence region, this collection calms frizzy hair and hydrates dry skin. It’s also packed with argan oil, one of the planet’s best-known natural moisturizers. This subtle and earthy collection containing tea tree oil properties make your hair and body look and feel clean. The vetiver, an essential oil sourced from Haiti, adds a smoky and woody fragrance. 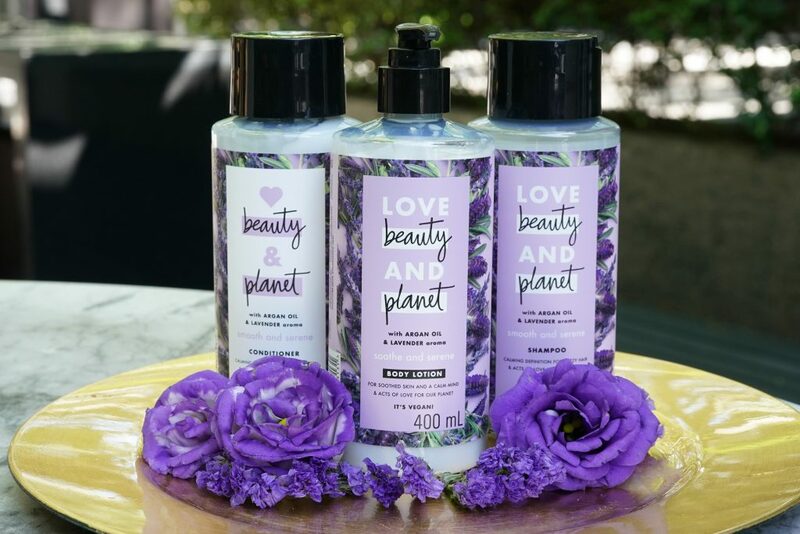 Love Beauty and Planet products will be exclusively available online through Lazada, Beauty MNL, Zalora, Beauty Bubble, Shopee, and Watsons Online on Jan. 21; at a one-time pop-up at the South Wing of Powerplant Mall from Jan. 25-27; and in select drugstores and department stores nationwide starting Feb. 1.